Website orders are handled through our main office, 415-715-7512. Open Mon-Fri 8:00 AM to 4:00 PM daily. Customer Service questions can be directed to weborders@booksinc.net . Shipping Charges will be added upon completion of your order. You will be given a choice of Store Pick-up, Economy (7-10 Day), Standard Ground (3-5 Day Delivery) or Express (1-2-Day). We are sorry, we are not able to accommodate shipping outside of the US and Canada. Whether you need 1000 books for a conference or 25 books to give away to friends you can save substantial money by ordering through our Books Inc. Volume Purchasing Program. Books & merchandise in good condition with a store receipt may be returned within 14 days of purchase to any Books Inc. location. I WANT TO WORK IN A BOOKSTORE! 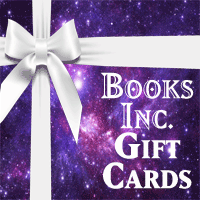 Yes, we do sell do gift cards redeemable on this website and in all of our store locations! 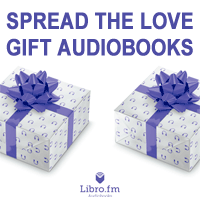 We are currently unable to redeem gift cards for Kobo ebooks and Libro Audiobooks. We know this is inconvenient and are hoping to correct this. We are not able to carry books from self-publishing platforms that have predatory pricing practices and are direct competitors to independent brick and mortar businesses such as Books Inc. We can however recommend a new platform called Ingram Spark. Please feel free to download FAQ and pricing info here. Another publisher option is KOBO Writing Life, follow the links for more info. I WANT YOU TO CARRY MY BOOK! Not every book can sell in every store. Our store managers and store restock buyers have the autonomy to bring in what they think will work in their store and their neighborhood. Stores may be contacted directly for all books. Most books that we carry are in our normal ordering channels from publishers and distributors Ingram, Partners and Baker & Taylor. However, for books that are outside of those channels, we have developed a Consignment Program. Individual stores are able to make all decisions regarding books taken in their stores on consignment. Download our Consignment Program information here. 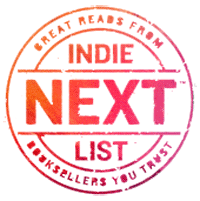 Use this link to join IndieBound and submit books to IndieBound to be included in our book database. You must register as an IndieBound participant first. Once submitted, books will be added into a queue, pending approval by a site administrator. Please allow 24-72 hours for approval, and please allow an additional 24 hours for your book to appear in search results. You will receive an email when your book is approved. CAN I DO A BOOK SIGNING? Store author events can be a great success, but not every one works in every store. Our store managers and event coordinators can decide on what events will work for their stores and communities. You may wish to review our Consignment Program and contact individual stores directly. We rely on our distributor, Ingram Books, for content. Great efforts goes into correct listings of cover images and content. However, human error is inevitable. Publishers are responsible for the data delivered to Ingram and can correct any errors directly with them. However, you can also report errors to weborders@booksinc.net and we will do our best to have them corrected. Adding book covers may be done following this link and registering with IndieBound.